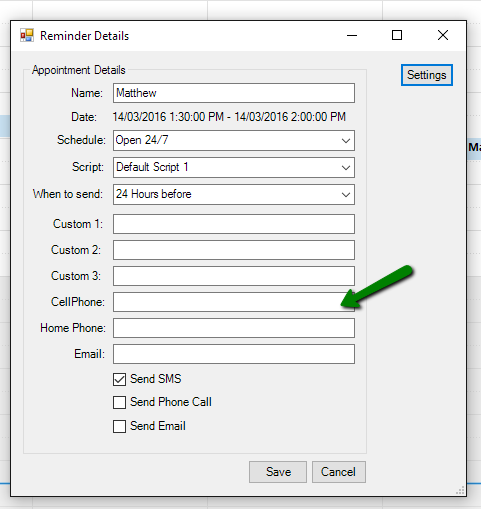 This article will step you through installing the Appointment Reminder Addin for Outlook. It works with all versions 2010, 2013, 2016. Close Outlook if you already have it open. Depending on what browser you are using you might get a security warning about downloading the file. You can safely accept the file for install. You may get a "User Control Security" warning. 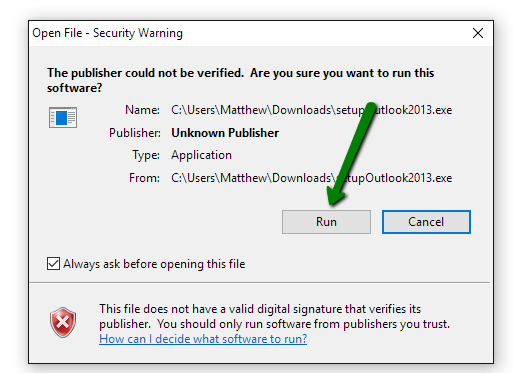 You can click "Yes" on this warning Windows. 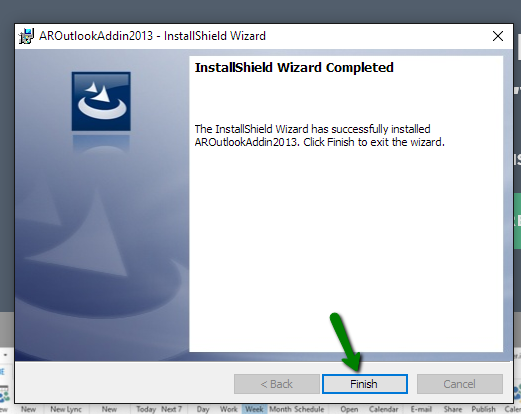 You have successfully install the Addin onto your PC. Open Outlook and browse to your Calendar. 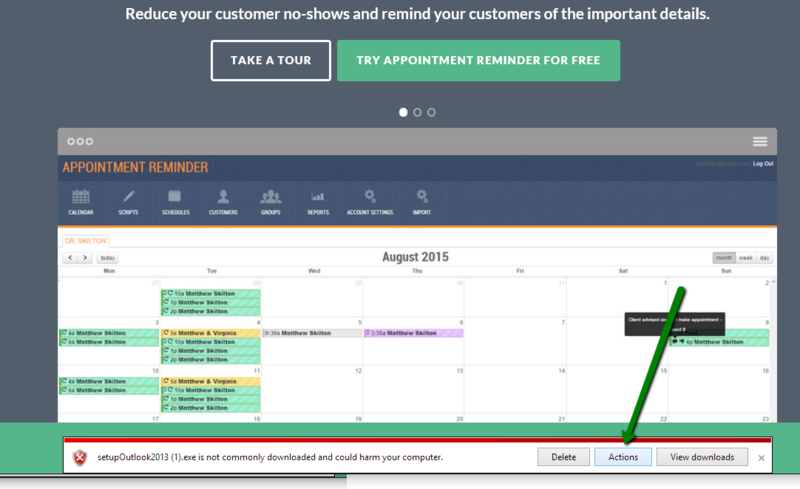 Create a new appointment for testing purposes. 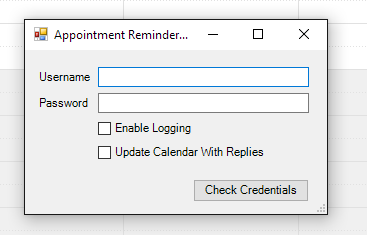 Once the Appointment has been created right mouse click on the appointment click "Create Appointment Reminder"
Enter your credentials that were used when you registered for an Appointment Reminder account. Your username will be your email address. Click "Update Calendar With Replies" if you want your Calendar events updates with responses from your SMS replies. You will be prompted with a "Default Settings" screen. 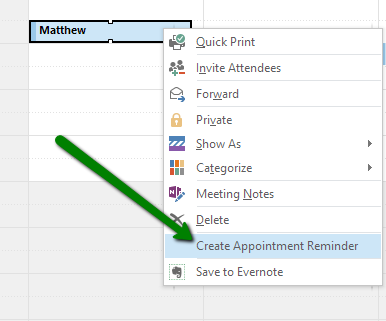 This allows you to enter which options should be enabled or changed when you create new Appointment Reminders. 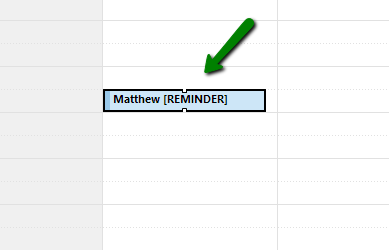 This is a great time saver so you don't have to change the same information every time you create a new reminder. 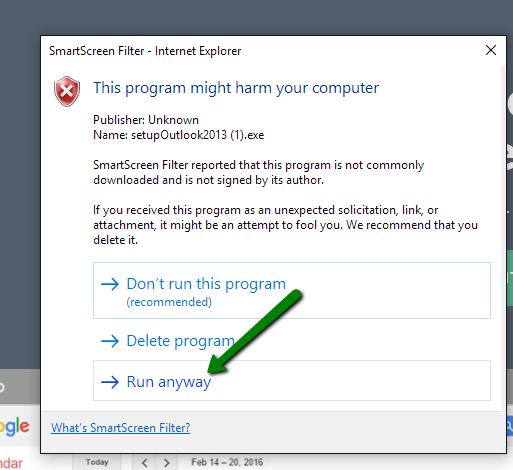 Once you've clicked Save, you can close out of the windows that are open. 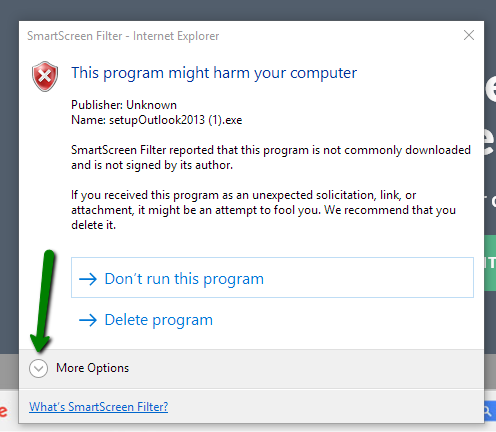 Go back to your calendar and right mouse click again on the test appointment you created. You will now see the Appointment Reminder screen where you can enter your details about the reminder you want to send. You can enter or change any of the fields that you need to. 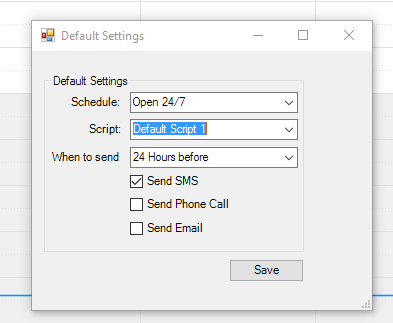 If you are only sending SMS reminders then you just need to enter your clients cellphone number in the "CellPhone:" field and then click save. Once you click save you will see the wording [REMINDER] added to the end of the Appointment. This is done so you know which appointment now have reminders created. 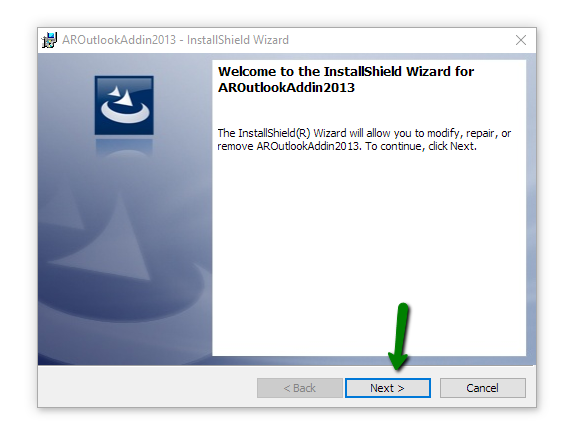 Congratulations you've created your first Appointment in Outlook 2013 and Outlook 2016! You can view our other help documents if you want to change the wording of the messages your clients receive, or how to edit the reminder.